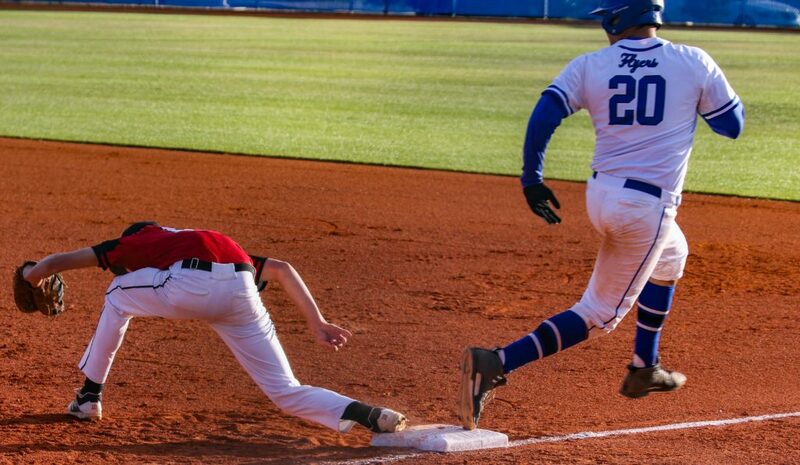 ST. GEORGE – And just like that, everyone is chasing the Dixie Flyers. 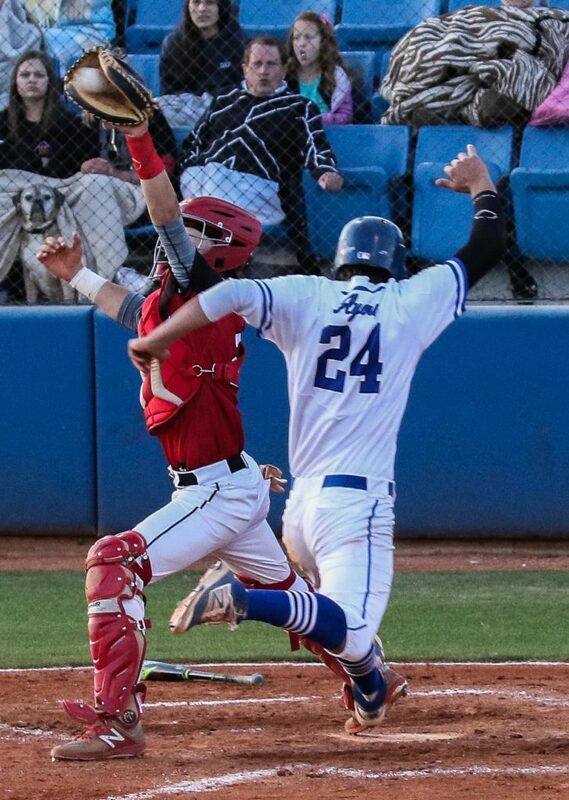 Dixie, which started Region 9 play a month ago by losing two games to Desert Hills, won its sixth straight game Friday night and now finds itself alone in first place. Desert Hills knocked off Snow Canyon and Pine View blasted Cedar, meaning the Flyers have a one-game lead on the other three contenders with two games left to play. Friday’s results also spell the end to any playoff hopes the Tigers and Redmen may have been holding onto. 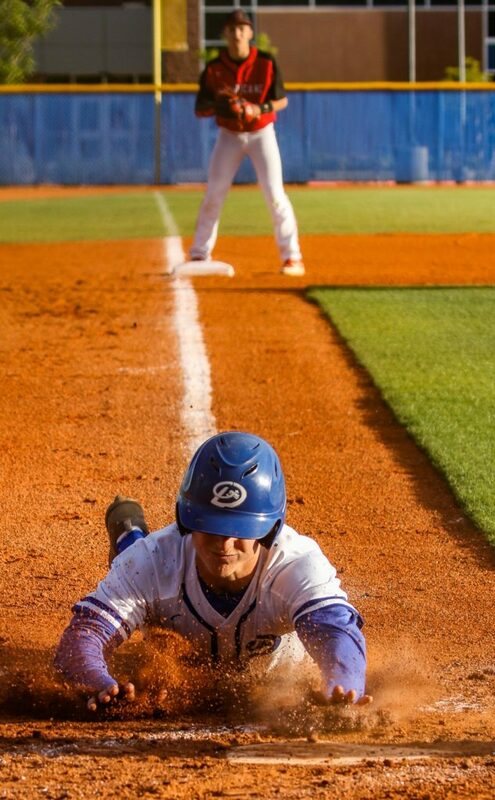 Dixie finishes the regular season next week with a series against Cedar, while the Thunder battle Hurricane and the Panthers and Warriors square off. This game was the story of a hot pitcher, a smokin’ hitter and a huge inning. Stockton Sorden, Dixie’s left-handed veteran, allowed just two base runners in the mercy-rule shortened game Friday at Flyer Field. He gave up one hit, one walk and hurled just 60 pitches in the victory. Along the way, Sorden lowered his earned run average to 2.63 and picked up his third win of the year. 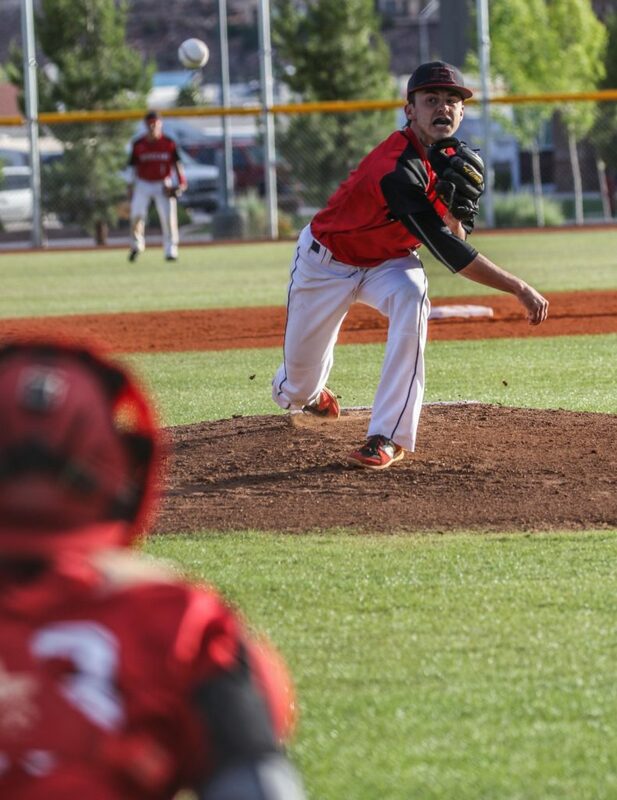 On the offensive side for Dixie, Hobbs Nyberg continued to scorch opposing pitchers around the region. 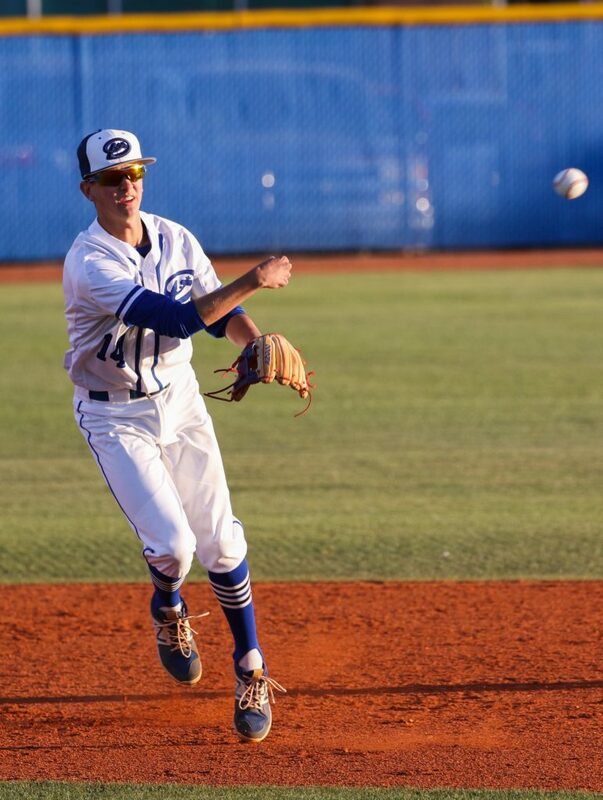 The junior infielder, who leads Region 9 in batting average and runs scored and is in the top 10 in RBIs, on-base percentage and slugging percentage, had a double and two triples in four at-bats. The great pitching and hitting culminated in an epic fifth inning for the Flyers, who have won six consecutive games. Sorden went into the fifth with a perfect game, but nursing just a 2-0 lead. 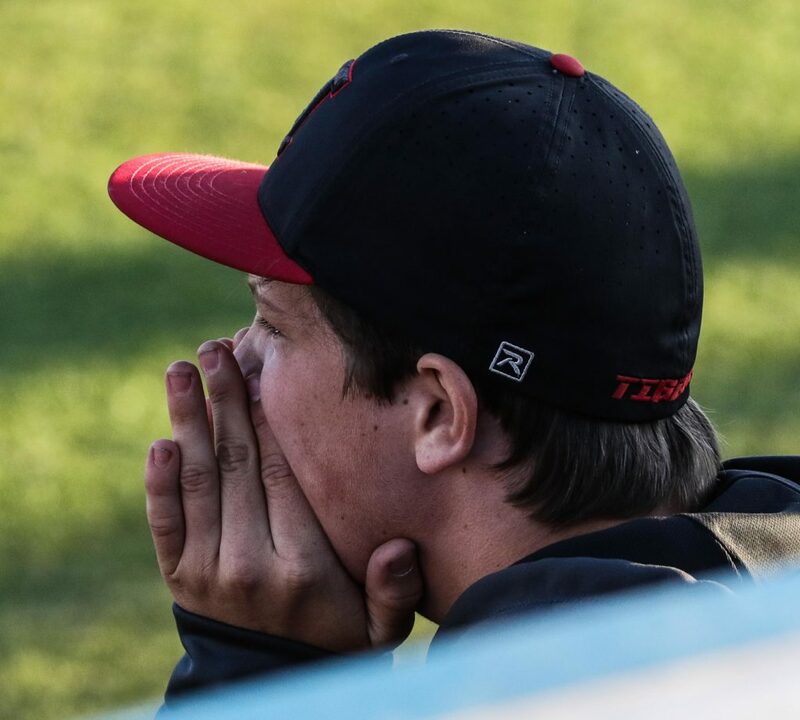 Things got dicey when Hurricane’s Michael Lacy laced a one-out single to center field and Sorden fell behind the next batter, Kolby Heaton, 2-0. But on that 2-0 pitch, Lacy tried to swipe second base. Flyer catcher Chase Lundin denied the attempt with a cannon throw to second. Two pitches later, Heaton walked, then advanced to second on a passed ball. But Sorden struck out his seventh batter of the game on a 1-2 pitch and sauntered to the dugout with the shutout intact. As it turns out, Sorden didn’t have to head back out to the field again as the Flyers scored eight runs in the bottom of the fifth to invoke the 10-run mercy rule and end the game. Five of the eight runs came with two outs. Nyberg started the bottom of the fifth with his first triple on a rip deep to center field. Dayton Dempsey walked and Nyberg scored on a passed ball to make it 3-0. After a ground out by Tyson Fisher, Payden Harrah doubled Dempsey home with a stroke to center field that made it 4-0. The second out came on an RBI ground out by Cooper Vest that made it 5-0. But Dixie was just getting started. Lundin was hit by a pitch and then Tyson Miller pushed a run across with a bases loaded walk to make it 6-0. Nyberg then ripped his second triple of the inning to clear the bases and make it 9-0, this one rattling around in the right field corner. After a Dempsey HBP and a Fisher walk loaded the bases once again, Nyberg scored his third run of the game on a passed ball that made it 10-0 and halted the contest. Dixie’s early lead came on an RBI single from Fisher after Nyberg had doubled in the bottom of the first. Vest’s RBI single in the fourth made it 2-0, setting up the game-clinching fifth. For Dixie, there were nine total hits, plus eight walks in the contest. Nyberg’s three hits and Harrah’s two led the way, with Dempsey reaching three times (two walks and an HBP) and Vest picking up two RBIs. Sorden didn’t hit a batter or throw a wild pitch in the game. Dixie, 6-2 in region and 17-3 overall, will play at Cedar at 4 p.m. Tuesday and then host the Redmen at 7 p.m. next Friday. Hurricane, now 2-6 and 8-12, has lost four straight. Lacy had the only hit of the game for HHS, while Alec Flemetakis took the loss on the mound. 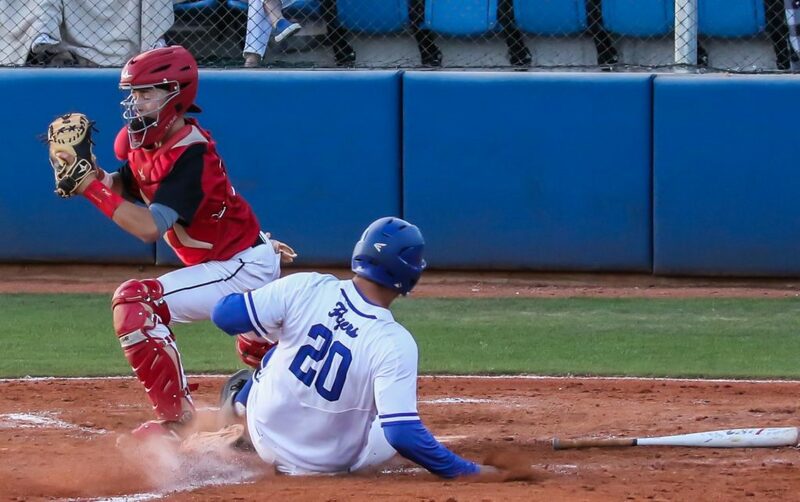 Trey Winget socked a three-run home run, his first homer of the season, as the Thunder broke open a close game with a four-run sixth and avenged Tuesday’s 11-6 loss to the Warriors. Clinging to a slim 3-2 advantage, DH senior outfielder Winget stepped to the plate with two outs and teammates Quinn Kiser and Trey Allred on base. Facing Snow Canyon righty Cannon Secrist, who has been nearly unhittable the past three weeks, Winget watched the first two pitches (a ball and a strike) go by. Then the veteran Winget jumped on the third pitch, sending it into the night sky, well over the right field fence. The homer made it 6-2, with Chad Nelson adding an RBI single later in the inning to make it 7-2, an insurmountable lead with DH sophomore Drew Thorpe dealing on the mound. 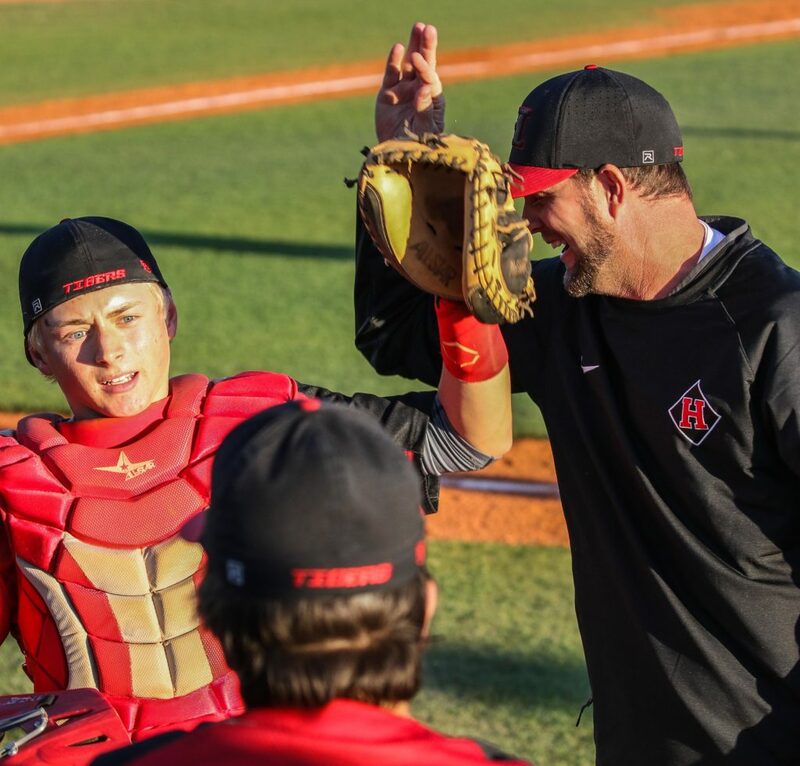 Thorpe, who leads Region 9 in earned run average (0.90) and is among the leaders in wins (four), strikeouts (41) and strikeout/walk ratio (5.1), had his breaking ball working all night. He allowed two earned runs in the game, coming off a first-inning homer by the always dangerous Austin Deming. 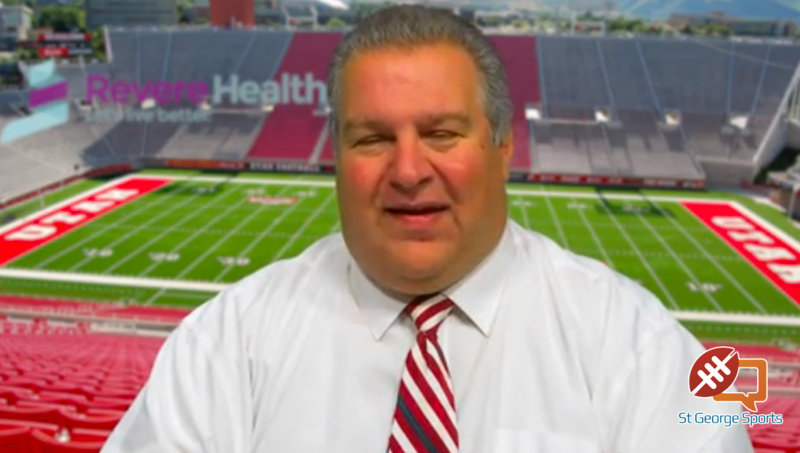 But after that initial outburst, Thorpe kept the Warriors at bay. Snow Canyon would get just four more hits the rest of the game and would only advance one base runner past second base after Deming’s moonshot. The Thunder cut SC’s lead in half on Nelson’s solo homer in the bottom of the second. Kiser and Winget singled in the third to set up an RBI groundout by Seth Betts that tied the game. Desert Hills took its first lead in the bottom of the fifth. A Winget walk and a Betts single set runners up at first and third. Sam Rhoton grounded to short, but an error on the throw to third allowed Winget to scurry home with the go-ahead run, making it 3-2. The Warriors got two on in the top of the sixth on a walk and an error, but Thorpe induced a ground out to stop the threat. Down 7-2 in the top of the seventh, SC got the bases loaded with one out on singles by Braden Baker and pinch hitter Austin Staheli, plus a HBP by Zach Nowatzke. But Thorpe completed his victory by picking up a three-pitch strikeout and a pop up to end the game. The Thunder had nine hits in the game, including two each by Winget and Nelson. Thorpe picked up the win and also had a double at the plate. 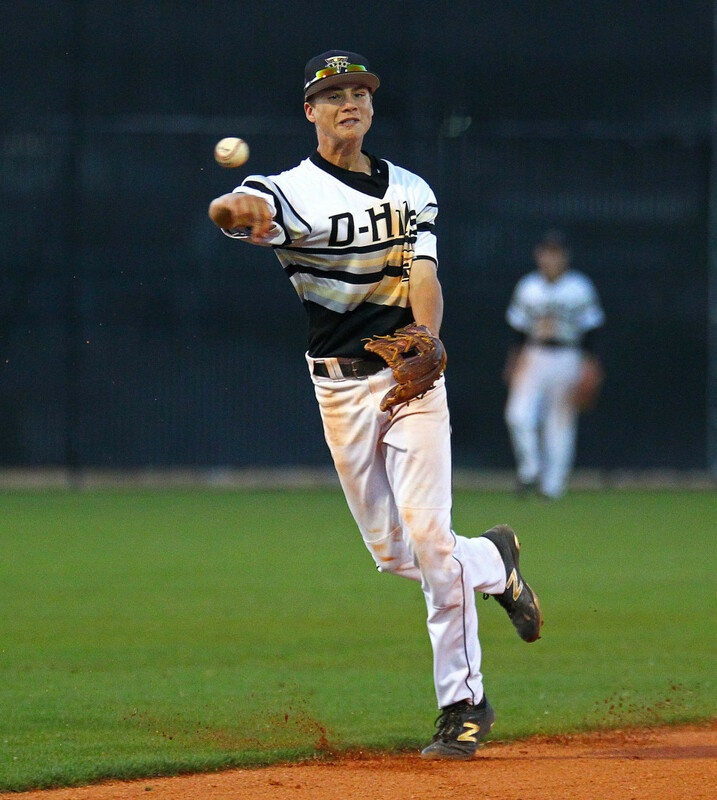 Desert Hills is now 5-3 in region and 15-5 overall. The Thunder finish the regular season next week with a two-game set vs. Hurricane. Tuesday’s contest is at Thunder Field and Friday’s is at Tiger Field. 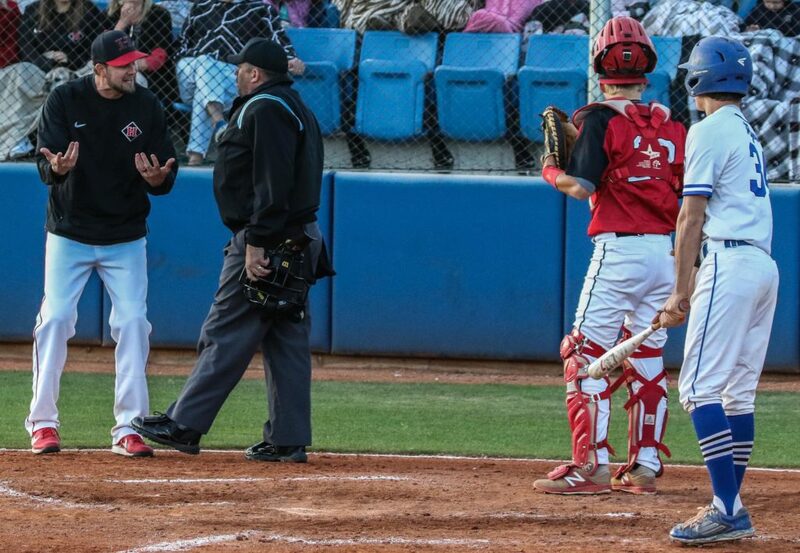 The Warriors finished with five hits, though Deming’s dinger was the only extra-base hit. It was Deming’s second homer of the week and his eighth of the season. 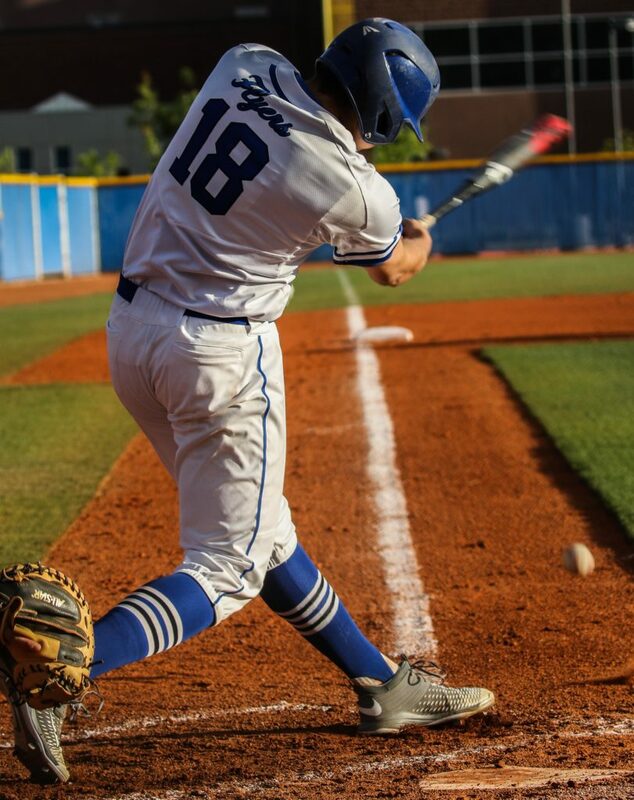 Snow Canyon, 5-3 and 13-8, plays Pine View next week, with Tuesday’s game at Warrior Field and Friday’s matchup at Panther Field. The Panthers flexed their offensive muscle Friday evening in chilly, soggy Cedar City. 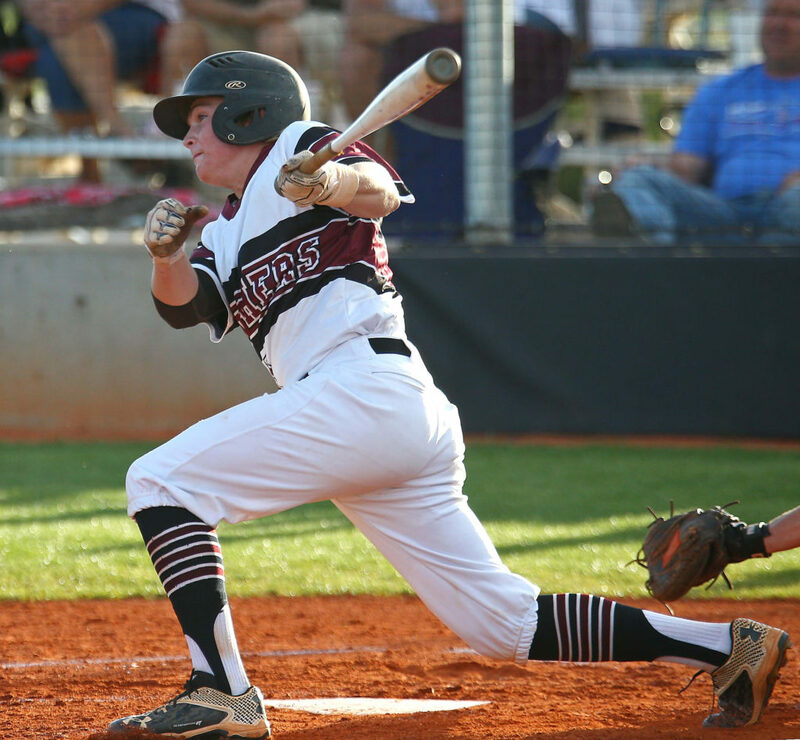 Pine View pounded out 18 hits in the game and scored nine runs in the top of the first before Cedar had even taken one swing of the bat. Fourteen batters came to the plate in that first inning, with nine of those hitters rapping out base hits. Ryke Erickson started it all with a leadoff double, scoring moments later on a Dawson Staheli single. Weston Sampson, Tanner Staheli and Kory Taigen all singled home teammates as it was 5-0 when Erickson came to bat again. His single in the hole on the left side made it 6-0 and Dawson Staheli followed with his first homer of the year, a three-run shot, that made it 9-0. The Panthers added three more in the top of the second (RBI doubles by Taigen and Cody Riddle) to make it 12-0 and Erickson and Sampson each had two-run singles in the fourth to help make it 17-0. Cedar managed just four hits and no walks off the Pine View pitching tandem of Riddle and Makai Maclellan. All four hits were singles as the Redmen only got one base runner to third base in the game. Erickson finished with four hits, three RBIs and two runs scored, while Dawson Staheli had three hits and four RBIs (plus three runs). PV also got two hits each from Taigen, Sampson, Riddle, Tanner Staheli and Erik Sanchez. It was a big win for Pine View, which has clinched a playoff spot and remains a game behind Dixie for first place. The two teams split earlier this season. PV, 5-3 and 11-9, plays Snow Canyon twice next week, with Tuesday’s game at Warrior Field and Friday’s matchup at Panther Field. Cedar, 1-7 and 6-11, closes the season with a two-game set against Dixie. 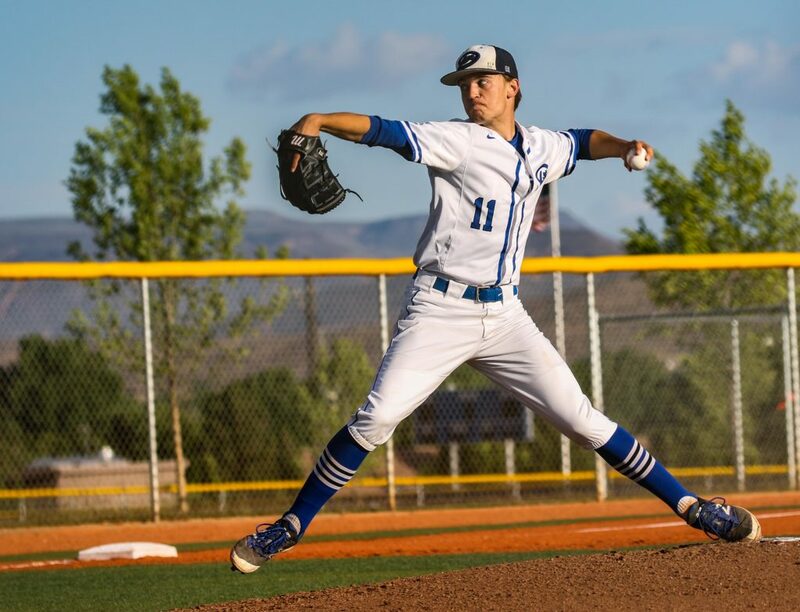 Tuesday’s 4 p.m. game is at Cedar and Friday’s contest is in St. George.